If you own a home for any length of time, you will probably plan to improve some aspect of it at some point, even if it’s just painting a door or a wall. And home improvement can also be a great hobby: it can build useful skills and give you a great sense of satisfaction. Of course, it can also improve the function and look of your home, provided it is done correctly! Planning ahead is vital if you don’t want to waste money and time. Check out home decor and DIY magazines and books for ideas and inspiration. Give yourself some time to learn, rather than just jumping into action straight away. Take some design elements from pictures you see, and use other people’s ideas to help spark your creativity. You might even want to create a vision board or journal to keep ideas to think about. 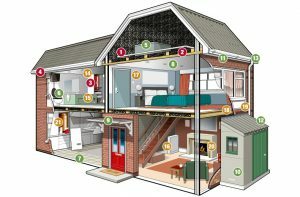 It’s also important to remember that every piece of real estate is subject to building codes; without proper research, the requirements imposed by local codes and zoning regulations can present a nasty surprise to those who intend to do home maintenance or to make major improvements to their home, including removing walls, extending the building or converting a roof space or garage. You could find that your expensive work is not approved and have to spend money returning your house to the way it was! When thinking about making a major renovation to your home, check the kind of return that you could hope to get from your investment, as some updates can be a bit of an overkill depending on the neighborhood you live in, especially if you might be thinking about selling your home within a couple of years of doing this renovation. If you do too much, you might not get your money back on the improvements you made. Also think about how any changes might affect your home’s resale value. For example, you might think about converting your garage into a living room to meet your immediate needs, but this might affect your chance of selling or the price you might get at a later date. 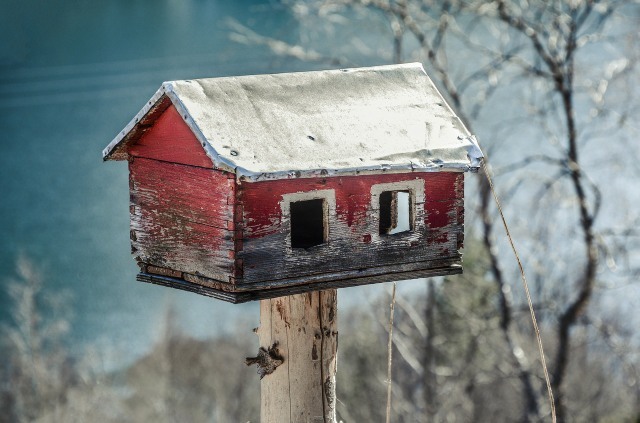 Even if you don’t plan on selling immediately, circumstances can change, and you may have to spend additional money getting your home back to the way it was. If you have the time and the skills, you may plan to do all the work yourself, but if you need to bring someone in, don’t ever hire an unlicensed contractor. General contractors as well as sub contractors are required to have certification in most states. This does not guarantee competence, but it is legally required. If contractors are not adequately licensed and insured, you don’t want to hire them. Always insist on references before hiring a contractor to work on your home improvement project. Hiring a competent and experienced professional is worth the money to give you peace of mind that the job is done right the first time. It is important to use the highest quality supplies and tools when doing a home improvement project. You may spend more initially, but you’ll save money down the road. Better quality products survive wear and tear and last longer. Tools can be expensive and you don’t want to have to replace them regularly. Before you start remodeling or redecorating a room, bring in a professional for an electrical checkup. This is a legal requirement in some places. You also need to check the plumbing, to be sure that it is in good working condition. It’s no fun having to tear out a new floor or rip into a new wall, to make a repair that should have been done before doing the work. If your house is an older one, you will need to check for asbestos before starting in to major work. For instance, if you have older floor tiles or a popcorn ceiling, it will need to be tested to see if it contains asbestos. Asbestos is a naturally occurring but harmful substance that requires extra care when it is removed and disposed of, but it is generally only harmful if disturbed. If you do find asbestos, you will need to hire a special crew, who are trained and licensed to remove it. What does the siding on your home look like? Do you have an asbestos siding? If so, again, if you plan on removing it, whether to replace it with more modern siding or because it is in poor condition, you will need to hire a licensed asbestos removal contractor. The same goes for asbestos roof tiles or slates. If your roof is damaged and needs repaired, and the slates or tiles on it are asbestos, any damaged ones that need removed must be dealt with by a licensed contractor and disposed of properly. Asbestos is a fibrous, mineral material which is extremely hazardous when the fibers become airborne and are inhaled, because these fibers adhere to the lining of the lungs, and can cause cancer, mesothelioma and asbestosis. Asbestos fibers are very fine and the most dangerous ones are the ones you cannot see with the naked eye, because they can penetrate the deepest areas of the lungs. You may think you are safe from these substances in your own home but at one time it was quite popular to choose asbestos tiles as a form of flooring. Asbestos has good insulating and fire resisting properties and to this day you can actually find old asbestos floor tiles which have been hidden under carpeting for instance. While they remain undisturbed and in good condition, they are safe and it is legal for them to remain there but the problem comes when you want to remodel your home or lay down a fresh floor or the tiles are no longer in good condition. If you are in an older house then it is a legal requirement that you need to consider whether your floor tiles contain asbestos before you start to remove them or replace them or do work that could cause asbestos fibers to be released into the air. If you suspect that your floor tiles contain asbestos, you will need to call in a trained and registered contractor who is legally able to remove and safely dispose of the asbestos material. If you suspect that your floor tiles contain asbestos, then it is also possible that other areas of your house contain asbestos too. You can find it in fuse boxes; it would be behind the actual fuse. 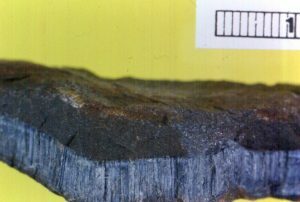 Textiles and composites made of asbestos were also around at the same time as asbestos tiles were. It could also be found in old heat resistant gloves and fire blankets. 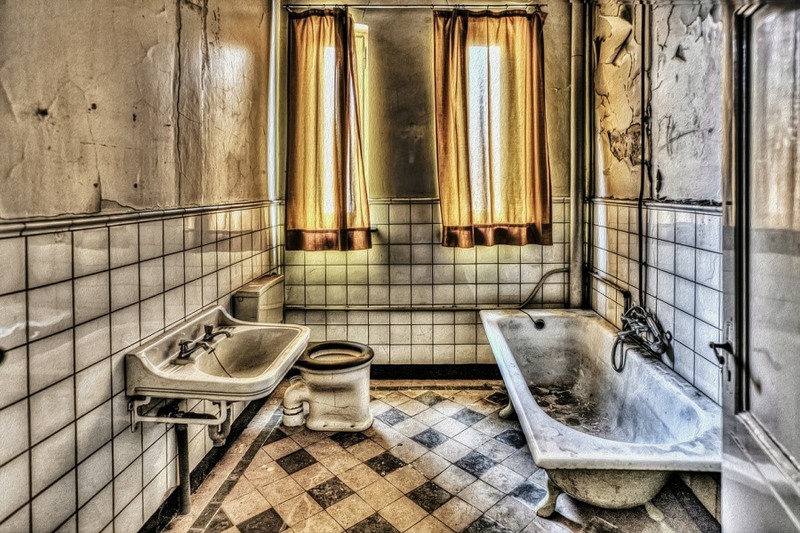 Bath panels, window sills, toilet seats and cisterns may also contain asbestos composites. Asbestos paper was actually used inside metal cladding and for lining under tiles. These materials which contain asbestos are not really that distinctive from what is used nowadays, this includes asbestos tiles. 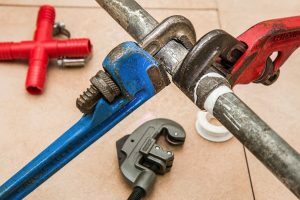 It is recommended that you look for a trade name, if that cannot be found then inquire with the previous homeowners as to how long they have had certain thing or how long ago certain materials were installed in the home. If you do find a trade name, you can easily look it up online and receive further information on it. How Dangerous is it To Work With These Materials? Working with any kind of material that contains any type of asbestos is very dangerous. That being said, there are tasks with certain materials that can be carried out by workers who are non-licensed yet appropriately trained. Normally, work on certain material is not necessarily notifiable; the exception would be if the materials are not in good condition. Another exception would be if the work will most likely cause significant deterioration and breakup of the material, notification in this case would be required.